The Best Wine Glasses in the World? I'm probably like a lot of wine journalists that attend tastings several times a year in that I often (but not always) look at the type of wine glasses that are being used. The wines are the most important thing of course, but when you sample wines from just the right glasses, there's an ease to your work. It's almost like a great actor when they're at the top of their game - you don't see them acting. It's the same here - you don't notice any flaws in the glasses - they're not too heavy, they're not bulky, they fit your hand just right, etc. Then you pick up the glasses and see who manufactured them. 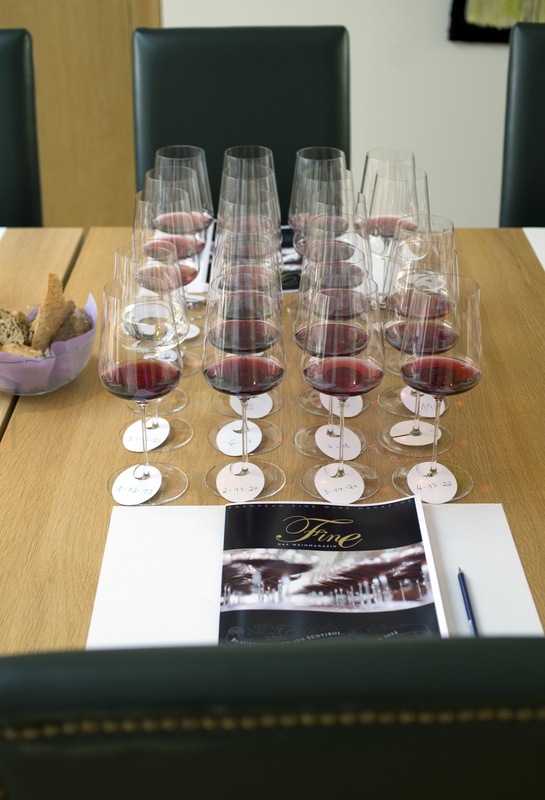 That's what happened recently when I was part of a tasting of Pinot Nero from Alto Adige. I was invited by the editors of Fine, an upscale wine magazine in Germany to attend, as my host, Martin Foradori Hofstatter, proprietor of J. Hofstatter winery in Tramin in Alto Adige, had let the editors know I was available to sit in at the tasting. I thank these individuals for this courtesy, as the tasting was first rate. The wines were excellent, but right away, I noticed how delicate the glasses were. I took a look at the logo and discovered these were crafted by the glassmaker Zalto from Austria. These glasses were attractive to look at, were as light as a feather and were superb vessels for releasing the aromatics of the examples of Pinot Nero. I met Martin Hinterleitner of the Zalto firm, who sat in on the tasting. He mentioned that the company had been receiving a great deal of positive comments on their products and gave me a brochure with testimonials from such respected wine authorities as Jancis Robinson and Aldo Sohm, sommelier at Le Bernadin in New York City. Robinson spoke of the glasses being the "thinnest and most delicate" she has come across and that was certainly the situation for me as well. You can tell from the first photo here how thin the stems are; what you may not be able to tell is that the stems are various sizes, as these are hand-blown glasses. I can't say that much more about them, except to say that based simply on these glasses, Zalto is one of the finest producers of wine glasses in the world and deserve your attention! 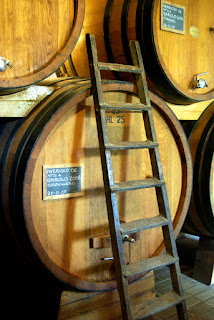 Let me say at the outset that the purpose of writing posts for this blog and for my Learn Italian Wines blog is to share information and at times, educate readers about wine. I have been in the wine business for 31 years and have been writing professionally about wine for more than 13 years. I specialize in Italian wines, having made more than 50 trips to that country, visiting wine regions from north to south. I have written dozens of articles for major wine publications and recently wrote my first book about Italian wines, which will be released soon. Clearly, I love Italian wines and believe that they are among the best of the world. So when a respected voice in the industry writes mistruths and mistakes about Italian wines, I'm not exactly thrilled. A few months ago, I was asked by a publisher rep if I would like a copy of the latest edition of Kevin Zraly’s Windows on the World Complete Wine Course for review purposes. I replied that I would and having read a good deal of the book, I was ready to pass along a positive judgment. There is a good amount of worthwhile information in this book, especially toward the end, where there is a chapter on how to taste. This is something that everyone should think about more often, no matter whether you are a beginner or someone with decades of tasting experience. But any good that is presented in this book is overshadowed by his section on Italian wines. I won’t go into everything that is wrong here, as I don’t have the space available, but let me say it now – this is a disaster! I want readers to know that this essay of mine is not a knee jerk reaction. I read Zraly’s text more than a month ago and made up my mind then to write about this. But I thought I would speak with other people in the wine industry first. I then spoke about this to several producers and other individuals in Italy who also work with Italian wines for a living. I wanted to discover their thoughts about this and see if my opinions were something that they shared. A few people who know of Kevin told me that he is a Francophile. There’s nothing wrong with that. I love French wines as well and drink them whenever I get the opportunity. But the point here is that Zraly has written a book about wines of the world. In reality, his bias toward French wines clearly shines through in this book. It’s subtitled a Complete Wine Course, but a better title would have been a French Wine Course along with sections on other wines of the world. There is a separate chapter on the white wines of France, but there isn’t even a separate chapter on the wines of Italy; rather Italy shares a chapter in this book with Spain. Furthermore, the section on Italy deals almost exclusively with a few famous red wines, as the country’s white wines are largely ignored (more on that later). Look, I don’t have a problem with the author devoting a separate chapter to French white wines, but not even a separate chapter on Italy? He decided to write so little on Italian wines (especially in comparison with the wines of France) that this subject became merely part of a chapter. Again, if Zraly prefers French wines that’s fine, but he’s clearly not giving Italian wines their fair due in this book. As for the section on Italian red wines, there are several key mistakes. He writes that Chianti must be 80% minimum Sangiovese. Actually, it’s 75% for most versions of Chianti, such as Chianti normale or a Chianti from one of the seven districts, such as Chianti Rufina, Chianti Colli Senesi, etc. The 80% requirement for Sangiovese is only for Chianti Classico. This is something that’s been in effect for several years; all Zraly had to do was look this up on the internet. Then he writes about a change to regulations for aging Barolo in wood. He writes that Barolo now has to be aged for only one year in wood. This is simply incorrect. I emailed a winemaker in the Barolo zone and also checked the Barolo disciplinare to learn the correct information; the minimum aging in wood for a Barolo is eighteen months, not one year. Now I realize that Italian wine laws change quite often, but the simple fact remains that the minimum aging is not one year now and never has been. It used to be 24 months, which was changed to 18 months. Zraly does mention that it was 24 months several years ago, so if that was what he listed in the book, one could forgive him, as one could say he hadn’t updated this information. But to list one year as the figure, when it is not that period of time today and never has been, well, that’s simply incorrect and a sign of not doing the proper work. For a book that is supposed to be one of the finest available about wine education (we read that on the inside front as well as the back cover), this is a careless mistake. Then there are a few really stupid or strange things he writes. Under the heading “easy-to-find Veneto producers”, he lists Quintarelli. Wait a minute! Quintarelli, easy to find? Where does this guy shop for wines? Even worse is his note on Amarone, which he writes derives from the Italian words amar, meaning bitter and one, meaning big. Huh? I mentioned this to a few producers in Italy and their reaction ranged from laughter to outright disbelief. This guy is a leading wine educator? I mentioned that the Italian section is primarily about red wines; Zraly concentrates on Amarone, the big reds of Piedmont (Barolo and Barbaresco) and four famous wines of Tuscany: Chianti, Vino Noblie di Montepulciano, Brunello di Montalcino and Carmignano. However, there is not one word – not a word! – about Bolgheri. How did Zraly decide to leave this out? It certainly couldn’t be because the wines are too expensive, as he writes a great deal about classified growths of Bordeaux that retail for hundreds of dollars per bottle. He also writes a good amount about the premier and grand cru bottlings from Burgundy. I can understand in a book such as this that there isn’t room for everything, so some wines are deleted. But we’re not talking about an obscure red wine from Basilicata or Calabria here, we’re talking about Bolgheri. Even if you only know two wines from here – namely Sassicaia and Ornellaia – you know about Bolgheri. Given that there are two full pages on the wines of the Loire Valley in France, couldn’t Zraly at least written a paragraph about Bolgheri? Especially given the fame of these wines? Again, his bias toward French wines while ignoring many distinguished Italian wines, is striking (also, there is no mention Morellino di Scansano, one of Tuscany’s most successful red wines of the past decade). While this is bad enough, this doesn’t even come close to the outrage I feel about his few brief paragraphs about Italian white wines. Zraly writes that he doesn’t teach classes about these wines as the leading examples of these products imported into America, such as Soave, Frascati and Pinot Grigio, tend to retail for about $15. So what? Doesn’t it stand to reason that the leading wines in terms of sales from anywhere – Italy, France, Chile, Australia, Spain, etc – sell for $15-20? Yet he has an entire chapter on French white wines, most of which are much more expensive than $15. It’s quite an illogical argument. It seems clear that he doesn’t taste many examples of Italian white wine. Kevin, have you tried this? Or this? These are two outstanding Italian white wines. Also, by writing what he does about these wines being $15, he tends to dismiss then singlehandedly, as though they’re not worth his – or anyone’s - time. Yet I wonder if he’s tasted the Pieropan Soave Classico lately or other examples of Soave Classico, such as Cantina del Castello, Ca’ Rugate, Gini and Pra. They all retail for about $14-16 dollars and they are excellent values. If Zraly means this book as a text for beginning and intermediate wine drinkers, he’s doing them a disservice by not highlighting these wines. Of course there are single vineyard offerings of Soave in the $18-25 range (not a great deal of money and certainly on par with white wines from the Loire and Bordeaux that he praises in the book) that are marvelous wines. Soave has become relevant again and these cru offerings are first-rate wines, yet there’s nothing about them in this book. Apparently Zraly doesn’t care much for these wines, if he samples them at all. Zraly has brief lists of varieties and wines from several Italian regions; he admits that he doesn’t have the space to cover all twenty wine regions. That’s fine, but take a look at his list of grapes in Friuli-Venezia Giulia: Pinot Grigio, Pinot Bianco, Chardonnay, Sauvignon Blanc. That’s it! Has he ever heard of Friulano, the signature grape of the region? How can he leave this out? Wouldn’t you think that it would be easy to remember Friulano when writing about Friuli? “The Italians do not traditionally put the same effort into making their white wines as they do their reds – in terms of style and complexity and they are the first to admit it.” (page 187). Can you believe he actually wrote that? I had to read the sentence several times to make certain my eyes weren’t playing tricks on me. Yes, I’m quite certain that great vintners such as Leonildo Pieropan, Roberto Anselmi, Silvio Jermann, Sabino Loffredo and Ciro Picariello would admit they don’t put much effort into their white wines. What a truly outrageous statement! Again, does Zraly even drink Italian white wines? I mentioned this statement to a producer in Alto Adige and told him that it seemed as if the author wrote this some forty years ago. His reply to me was that, yes, some four decades ago, one could say this about Italian white wines, but certainly not today. For anyone who has been paying attention, the amazing level of quality of the best Italian white wines has been one of the major developments in the wine industry over the past fifteen to twenty years. Has Zraly even noticed? 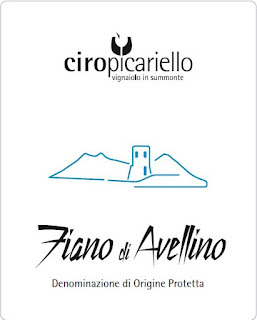 Zraly, by the way, also writes that recent plantings of Sauvignon Blanc and Chardonnay in Italy have “elevated” the quality of Italian white wines. How can he say this? 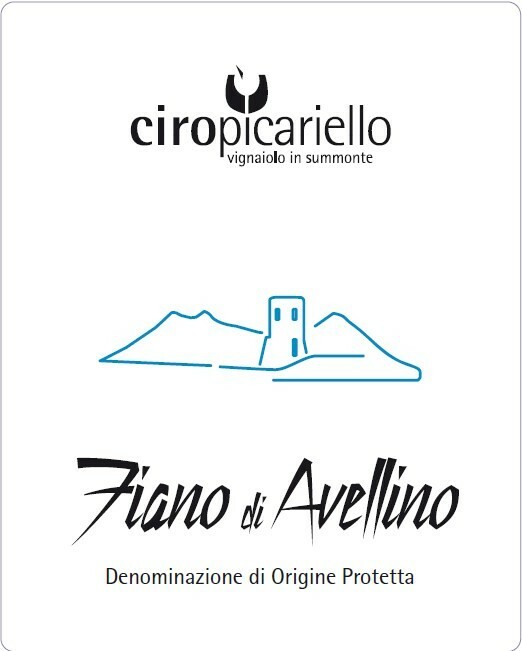 The best white wines in Italy, the ones that have truly been among the country’s best over the past twenty years are largely not produced from these two varieties, but rather from Verdicchio, Friulano, Vermentino, Garganega, Cortese, Greco, Fiano, Falanghina and several dozen more. It’s these indigenous varieties that are at the core of greatness of Italian white wines. While I’m angry and terribly disappointed with Zraly’s take on Italian wines, there’s a bigger problem here. It’s the mere fact that he could write this and get away with it. Can you imagine the reaction he would have received if he had written mistruths and had as many incorrect facts about the wines of France or California? He would have been tarred and feathered and run out of town. Yet, I’ve not read any other criticism of his text on Italian wines. Where is the outcry? Where are the Italian producers and importers on this? To me, this entire situation shows the lack of respect for Italian wines in this country. I applaud Zraly for being a positive source for wine in this country and also for writing this book. But once you decide to take on such a venture, there is a professional responsibility that must emerge. You cannot write mistruths as he has about Italian white wines and represent yourself as a leading wine educator. If he doesn’t care for Italian white wines or doesn’t keep up with these wines, then admit it. There’s nothing wrong with that – it’s being honest. But don’t write something that is a slap in the face to hundreds of excellent white wine producers in Italy. If Italian wines – white, red and sparkling (there is barely any mention of Prosecco or Franciacorta in this book) are to be taken seriously in America, then individuals who write and teach about wine need to treat them with the proper respect. Like other wines more if you will, but give Italian wines their proper due. By the way, Kevin, I invite you to pay a visit to Melissa Sutherland Amado, white wine buyer at 67 Wine and Spirits in New York City. She adores Italian white wines and can give you a great education on this topic. She will introduce you to several great wines that are proof of the excellent work being done by white wine makers in Italy today. A few weeks ago, I was one of 105 individuals who served as a judge for the VinItaly Wine Competition, held at Veronfiere in Verona, the same building where the annual VinItaly wine far is held in late March/early April. I was invited several months ago by Carlo Alberto Delaini, director of the VeronaFiere Press Office; I accepted at once, as I was happy to be invited and also curious about how this event would work. Now having participated as a judge, I can tell you that this experience was first-rate and exceeded my expectations. Whenever I head to Italy (this was my 54th trip there), I see many long-time friends I've come to know over the past decade. Of course, I always make new friends as well and what a great experience to meet journalists from around the world. This time, I met new friends from countries such as Maylasia, Slovenia, Germany, France, China and Argentina. How nice it is to sit down with these people over lunch and dinner and talk to them about their experiences and thoughts on Italian wine! A great thing about this event was that I was also able to meet winemakers (enologists, if you will) from all over the world as well. 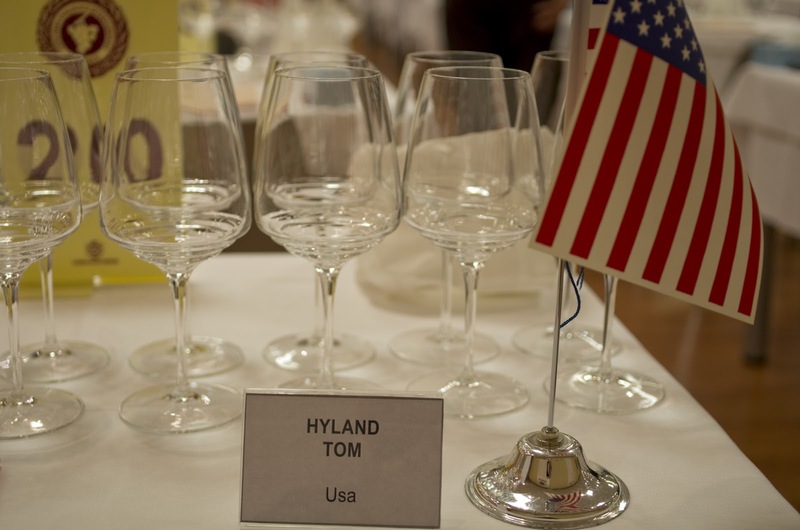 As a foreign journalist, I was part of a five person commission to judge wines. Each commission was comprised of three journalists - two foreign and one Italian - as well as two winemakers, one from Italy and one foreign. 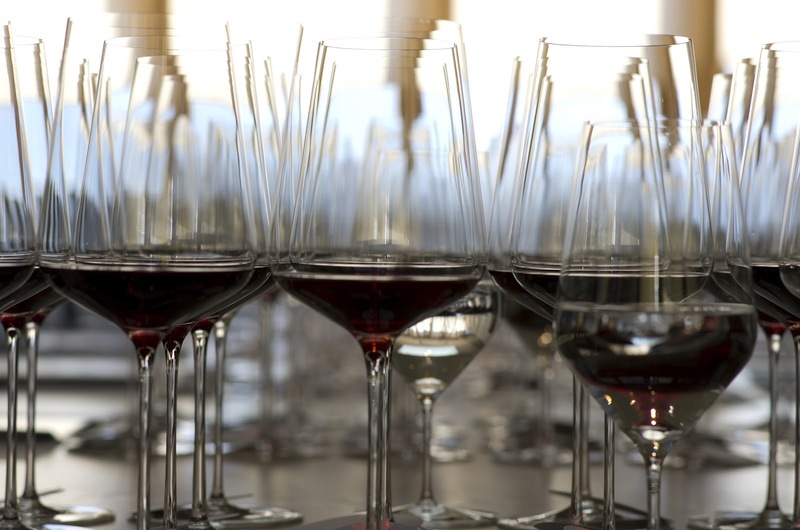 It made for a nice mix of expertise and stylistic decisions and assured that each wine would be fairly judged. 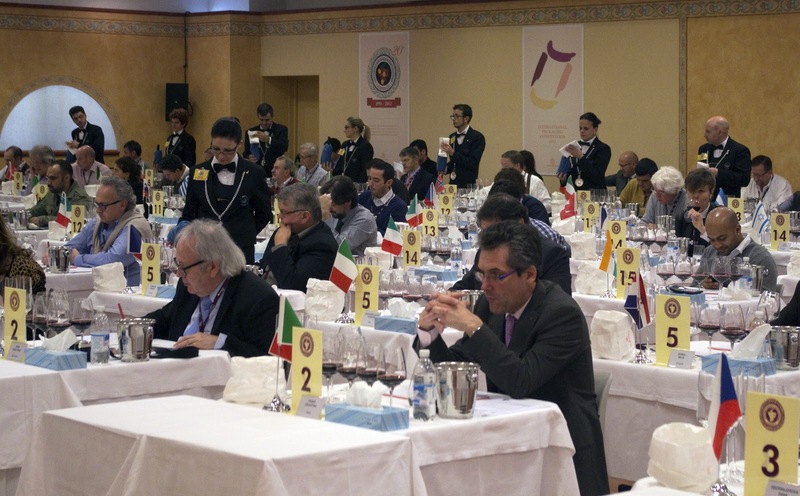 This was the 20th anniversary year for this competition and it's obviously grown over the years; more than 3000 wines were entered in the competition. Each commission over five days would taste approximately 160-180 wines (40 wines on Tuesday, Wednesday and Thursday, with a few less on Monday and Friday). Wines were entered from seemingly everywhere on the planet - name a country and you could pretty much be assured that there was a wine from that nation. 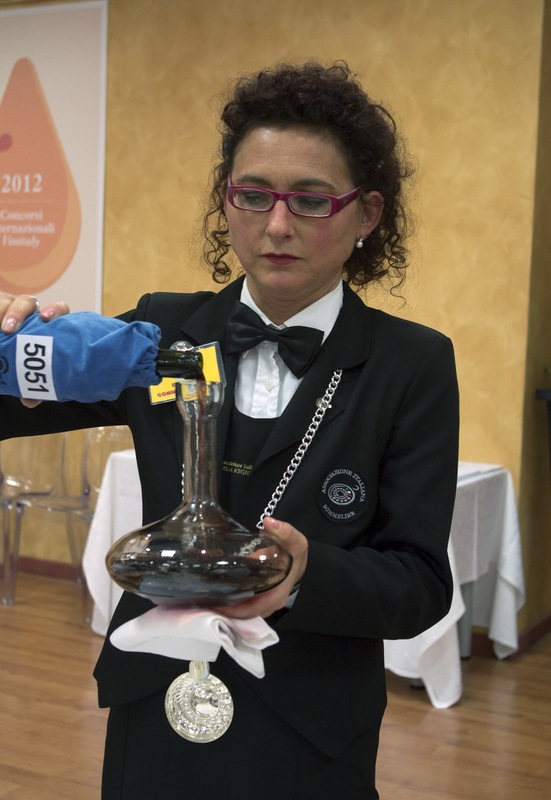 Of course, Italian wines made up most of the entries, but there were also wines from Romania, Argentina, Brazil, Canada, France and dozens of other lands. Wine styles ranged from the lightest sparkling wines and rosés to the most full-bodied red wines, some of which were decanted by the ultra professional staff of Italian sommeliers. 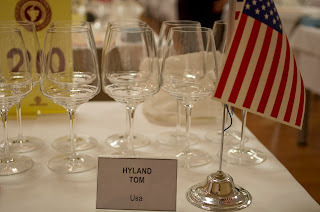 This was a great experience for me, being able to judge wines as varied as Lambrusco, Prosecco, lush dessert wines and numerous vibrant whites and full-bodied reds. We were given a category number for the wines we were tasting, so we only knew for example that the sparkling wines were from 2011 for one category, while for another the reds were from either 2010 or 2009. You could make educated guesses as to what you were tasting, but you really didn't know, which I thought was a good thing, as it made you focus your attention on judging each wine individually. I've since learned a few of the wines I tasted and liked and there were some pleasant surprises. Here is a complete list of the winning wines. I want to thank the sommeliers for the professionalism, my fellow judges and the organizers for a wonderful week in Verona!